They are smaller sized cattle and are totally white to totally black or red. 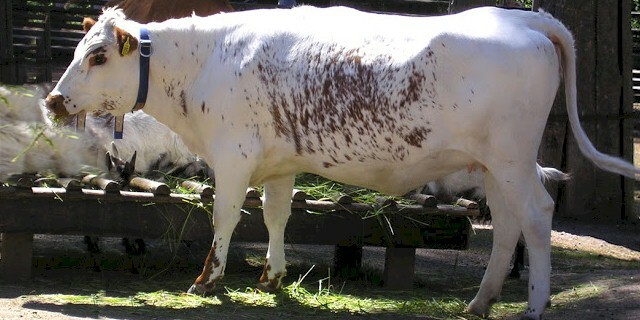 They have no horns and are naturally polled. The average body height of the mature cows is around 125 cm at the withers, and around 135 cm for the bulls. The mature bulls on average weight around 350 kg. And average live body weight of the mature cows is around 300 kg.